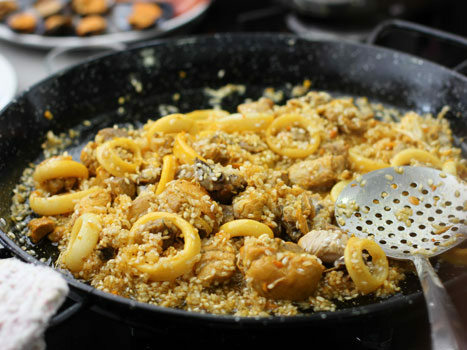 A complete culinary experience from shopping at the market to preparing the delicious and iconic Spanish dish. When: Every day at 10:30 AM hours. 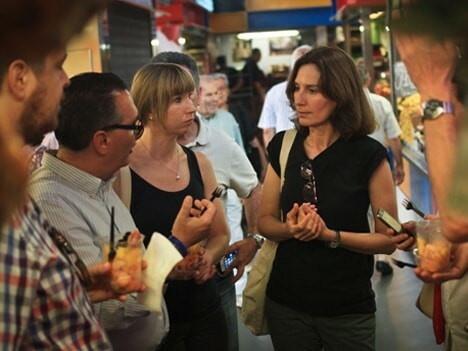 You will start at 11 am with a visit to the vibrant Atarazanas Market, selecting the most surprising seasonal products of our region for the cooking workshop. Our large and modern kitchen is a 5 minutes' walk away from the market, in the SOHO Art District. 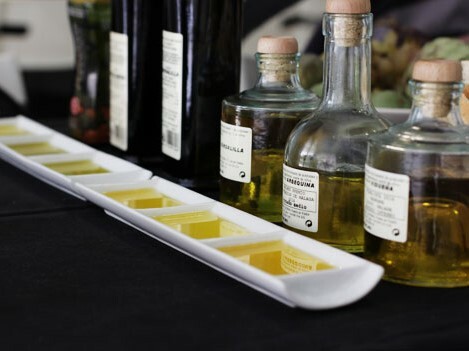 Upon arrival, you will taste different local, monovarietal extra virgin olive oils and entrees like roasted almonds, Aloreña olives. We also prepare a refreshing and traditional gazpacho. 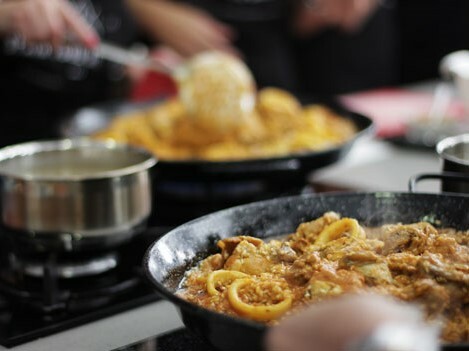 Then we roll up our sleeves and you'll learn with us how to cook authentic paella in a participatory way. Which rice to use? What is "sofrito" and how do you make it? 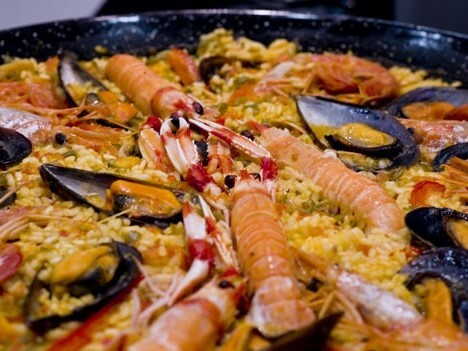 What types of paellas exist and which are the most popular ingredients? To top everything off, we selected an excellent wine of the region, made of local grape varieties. Throughout the activity you will be guided by a food-sherpa of our team, an expert in our culture and local gastronomy. Our Food Sherpas speak English and Spanish. If you enjoy cooking, trying new things, learning and having a good time, this is your opportunity!